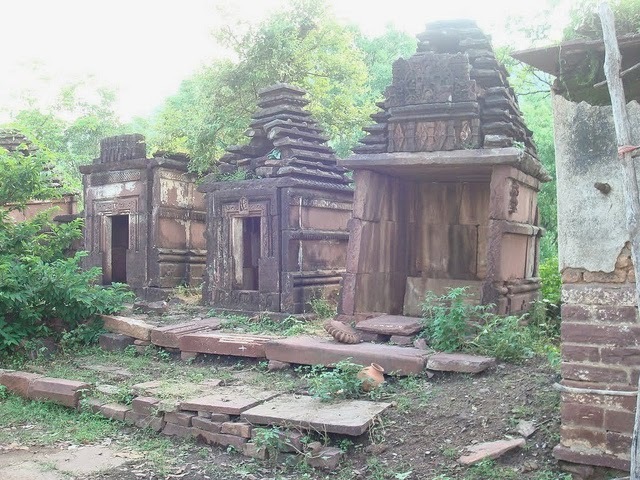 The hermitage of sage Sutikshna was very peaceful and conducive to mediation and performing sacrifices. The natural beauty was harnessed into a man-made resort with plenty of flowers, creepers, and fruit bearing trees aesthetically arranged on hilltop overlooking a great valley. It reminded me of Chitrakoot. The pond was full of cool water, fragrant with lotus and water lilies. Huts were made of mud, grass, bamboo and leaves, and were nicely decorated with hand paintings on the walls. Several pretty little deer were roaming about freely. Before meeting the sage, Sita and Lord Rama preferred to take bath in the pond rather than by the well. 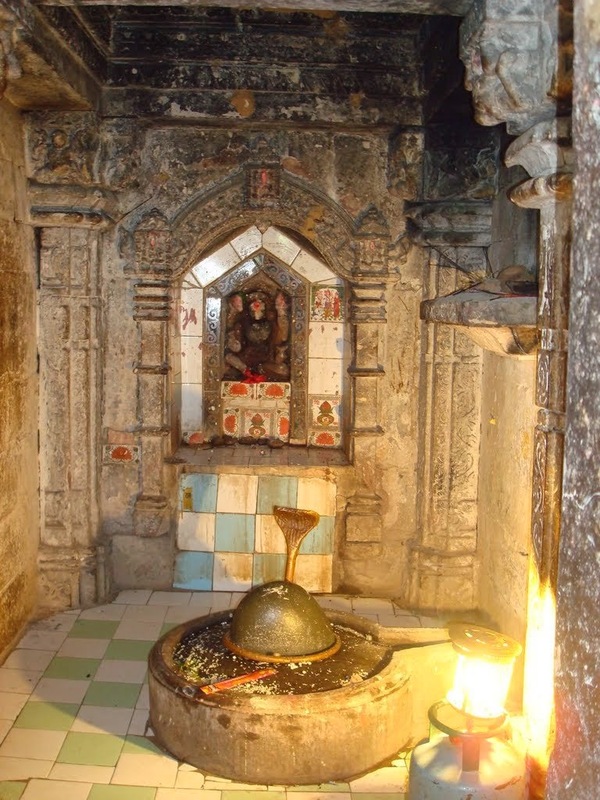 The other sages accompanying Lord Rama also had places to rest as they freshened up. Sage Sutikshna met Lord Rama enthusiastically giving a warm welcome. He was sorry to learn that sage Sharabhanga was no more and that his hermitage had been abandoned. He was pleasantly surprised to find how swiftly they could make to his place after travelling such a great distance crossing so many mountains, rivers, valleys and forests in the way with such a big group, all safe and sound. He said, "O best of the Raghavas, I am aware of the situation under which you had to forsake your rights to the throne of Kosala and wander around in the forests of Dandaka as an ascetic with your wife and brother. O Rama, by virtue of my penance and austerities all my life I have earned so many blessings of the gods that I would like to share them with you and invite you to stay at this hermitage. While this way on the one hand you will be able to lead a blissful spiritual life, on the other the ascetics at this hermitage would feel safe by your presence. 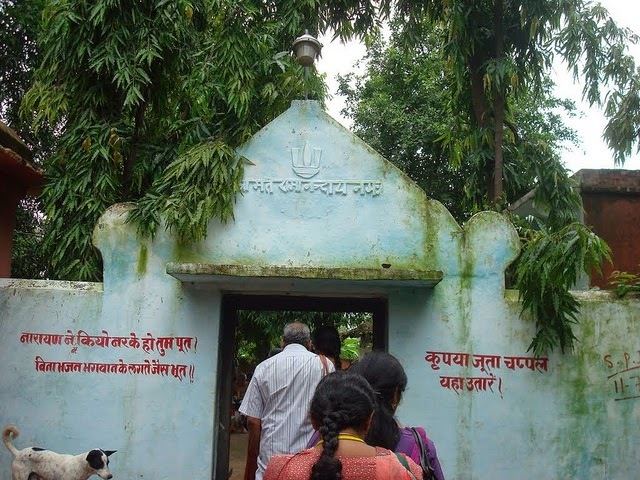 The purpose of sage Sharabhanga behind sending you here was to arrange for a long term abode for you where you could spend your remaining period of exile. This is a nice place. You will enjoy the natural beauty of this place very much. At the same time although we have not so far been attacked by the Rakshasas (demons) in this part of the country we are always wary of them." Lord Rama's reply was brief, "O great sage, I am very thankful to you for your gestures. With your blessings I have earned that much of credit in the eyes of the gods by means of my own deeds. As for your offer of residence for us here, I am afraid, due to my presence at this place there is bound to be some violence around including killing of animals that might destroy the piety and serenity of this place. If this part of the country is relatively safe I would rather like to go and stay at such a place where the ascetics might need my help." The sage expressed his pleasure at Lord Rama's proposal and said, "Well said, Rama, by virtue of being a prince you are rightly opting to stay at a place where your help might be needed to secure the safety of the ascetics. From this point of view I would rather suggest you to go eastward where there are many colonies of ascetics. Because the Rakshasas have greater influence in the east, I would direct you to spend all your time there. Rakshasas are great terrorists in this area, who harm, hurt, and kill innocent people. Being a Kshatriya prince, if you succeed in rooting out terrorism from this whole region, it will be your greatest contribution to humanity. You are free to choose to either stay at one place or roam about in a number of hermitages in order to provide protection to as many of them as possible. However, I would like to make a request to you that once you are done with your visits and finished the task, your should come back and see me again on your way back." Lord Rama along with Sita and brother Lakshmana covered whole of Dandaka, part by part, as if in an attempt to reclaim all the forests, mountains and valleys on behalf of the king of Kosala. They all spent about ten years doing so. They stayed almost at every hermitage and enjoyed their hospitality. Lord Rama re-established peace and security in whole of the region. Satisfied with his success of expeditions, went back to see sage Sutiksha. Now it was high time to spend the remaining period of three years quietly at one place. 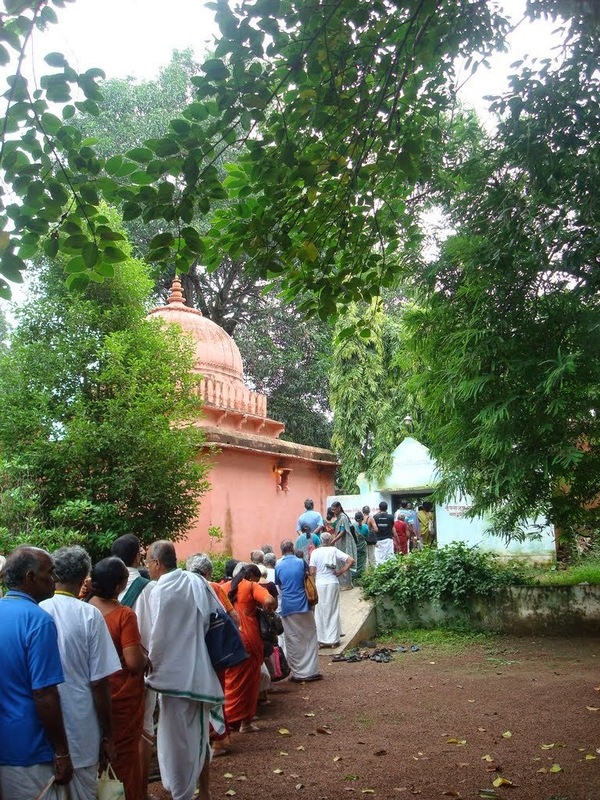 When Lord Rama revisited the Sutikshna hermitage after ten years, He was heartily welcomed by the sage and was requested to stay there for a while. 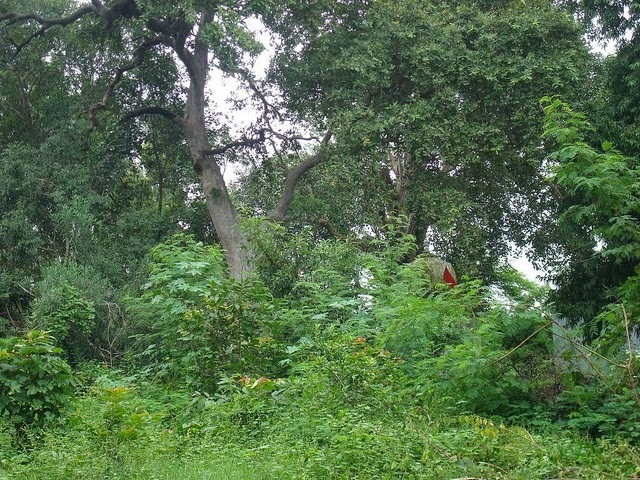 Lord Rama made a request to Sage, "O great sage, I have been told that the pre-eminent sage and seer Agastya's hermitage is somewhere in this vicinity. But nobody told me exactly where. If you could oblige me by giving me the exact location of his hermitage I would feel blessed to see him along with my wife and my brother." The sage answered lovingly, "My son, I was myself going to propose that to you. You must meet the greatest sage of our time, Rishi Agastya, who luckily lives close by. It is good that you asked for it. 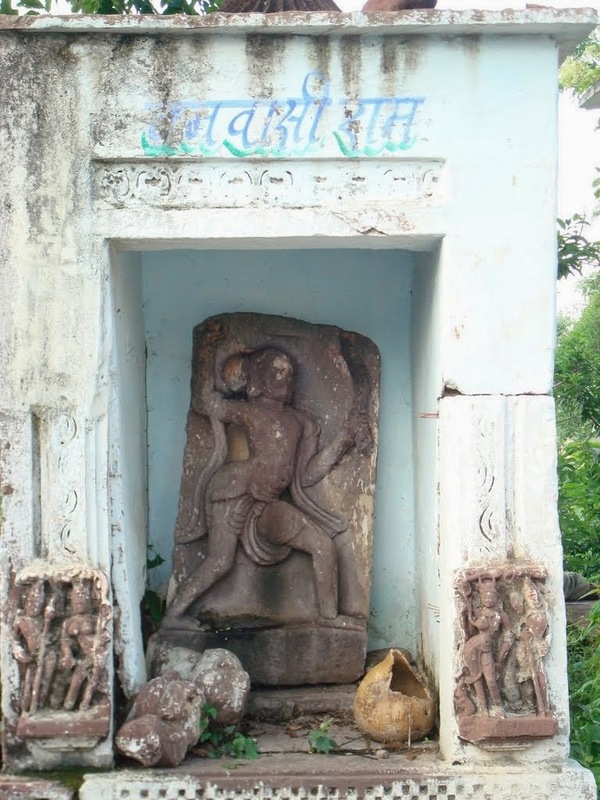 If you moved down a little southwards from here for a distance of about a yojana you will find a hermitage of sage Agastya's brother Idhmavaha. It is very close to this place. Lord Rama, Sita and Lakshmana started their onward journey towards Sage Agastya's Ashram. 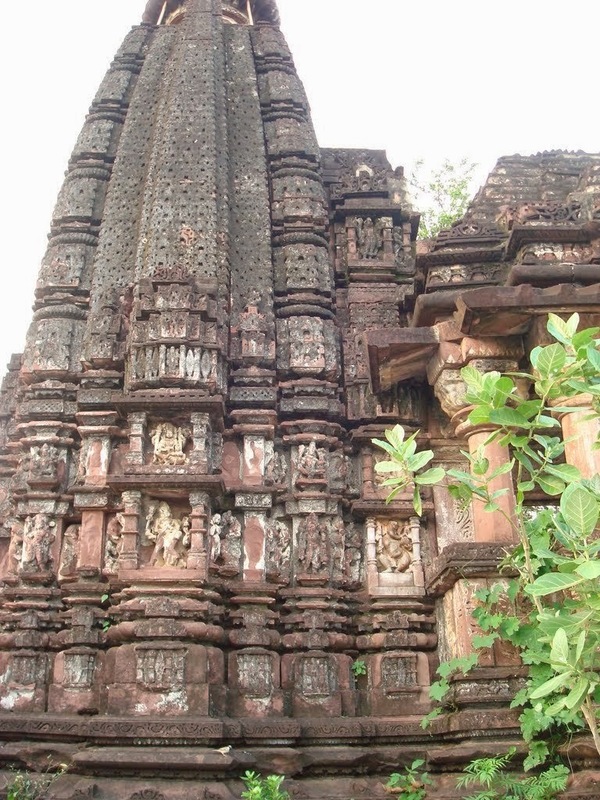 It is located in 3 places - near the place Satna in Madhya Pradesh and near Manmad, Maharashtra and in Nashik Panchavati. He must have lived in 3 different places. He is worshiped as a Tamil rishi (Agastya). 'Tholkappiyam' has been written by Agasthyar's sishya in Tamil language. 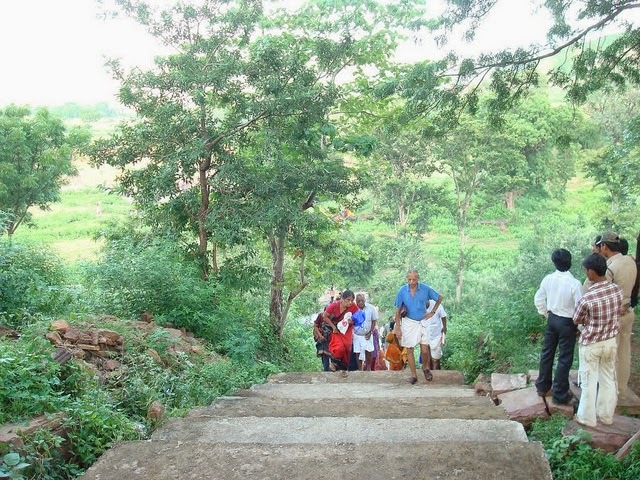 The path to go to Agastya Ashram is quite difficult. There is a shallow river infested with snakes, and one needs to get hold of tractor or truck to go through this water and rugged terrain. (The villagers had made these arrangements for swami and his people, including building a new bridge for the tractors to go through). Villagers mobilise about 6-7 tractors with carts at the back from near by villages to ensure that every single 600+ yatrika was dropped at the foot of the hill and didn't have to walk the 16km stretch - a road that had been freshly laid just for yatrikas. They made many number of trips carrying 20 passengers at a time. As we reached the Tridthi river, we found that the water was quite shallow but the stones made the short trek across the river quite slippery. To help older people the villagers and Kinchithkaram trust volunteers had in a matter of 3 days made a makeshift bridge with bamboo and hay etc so that people could just walk across, It was amazing. From that point on, till the top of the hill, every few steps local villagers, men and women, stood with folded hands and tears in their eyes welcoming yatrikas to their village; each of them spoke of how humbled they were to receive pilgrims and what an honour they felt in being able to serve 'their' Rama's devotees. 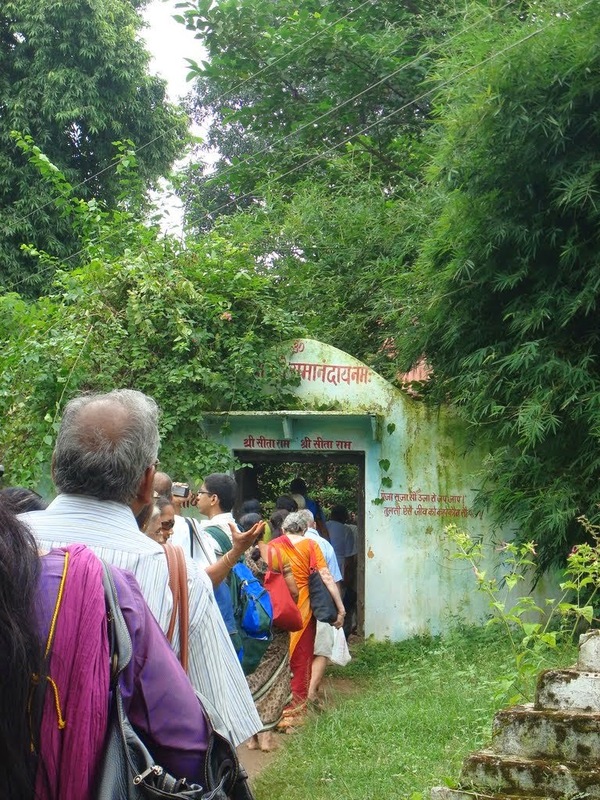 Sure, Lord Rama would have walked with devotees up that hill if only to fill the hearts of these simple guileless villagers with faith and love for Him. Agastya rishi lived in the Pothigai moutains. Sage Agastya gave Rama a mighty bow known as the Vaishnava Dhanus and a quiver known as Akshaya Thuneera. This was a quiver known as Akshaya Thuneera. This was a quiver, which would always be full of arrows. He also bestowed on him a number of weapons of rare power. 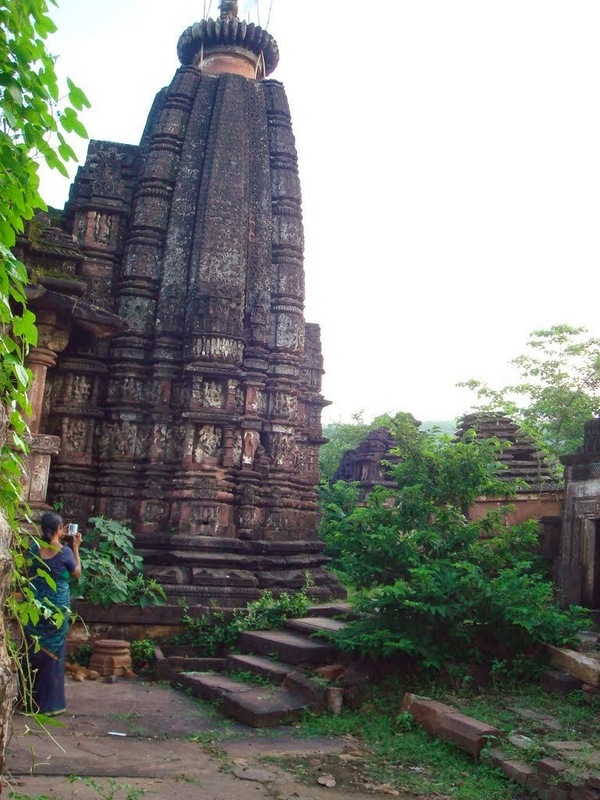 Satna is an important place in Madhya Pradesh. From Satna, we need to go to Saleha, and from there in 5km reach Patna-Thamoli, from here no buses to Agastya Ashram, but one can go in jeep or tractor, and in 5km of travelling, one sees a beautiful river, where it rains heavily pretty frequently, it can be traversed by walking. Agastya was a devotee of Ishwara, and Shanmukha; it is said that, carrying our instructions, he popularized the Tamil language. The people of Tamil Nadu honour him even today as the Father of the Tamil Language. 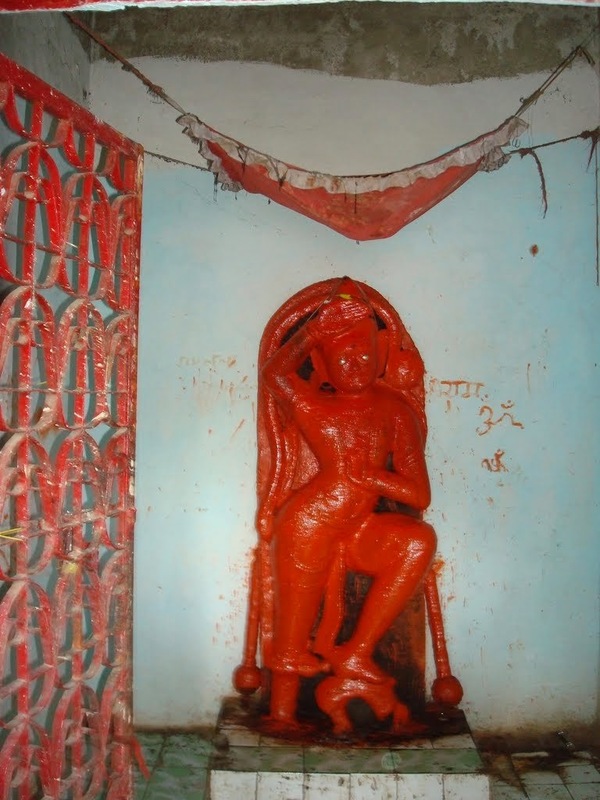 The Shivalingas installed by Agasthya are famous to this day as 'Agasthyeshwara'. There is also a pool by name Agasthyateertha in the south. Since he was the first among the sages to come to the south, the south is named after him. There is also a story about his mastery over music. It is said that Agasthya defeated even the great Ravana in a contest of playing on the veena. He gave many disciples to the world; he formulated many Vedic mantras; he wrote a learned work called 'The Grihyasuthra'; and the credit of popularizing the famous' Lalithasahasranama' (the Thousand Names of the Goddess Lalitha ) goes to Agasthya and Lopamudra. It is said that the mountain known by the name of Meru is so tall and huge that both the sun and the moon go round it after they rise in the east, set in the west and rise again next day. The Vindhya mountain used to watch that and was getting jealous of Meru for the special treatment. One day the mountain spoke to the sun. “Why are you going round Meru and not me? Am I any less important?” The sun replied. “Meru is so tall that I have no other go. Besides, this has been the practice since creation”. Vindhya thought that the height was the key issue for status. So, he decided to grow until his importance was recognized. He started becoming taller and taller day by day thereby blocking the rays of sun from reaching the earth. The whole world plunged into darkness day and night and the gods were worried. They were helpless against the might of the Vindhya. Only one person could talk sense to the mountain, sage Agastya. So, they told Agastya of the grave problem the world was facing. Agastya went to the mountain and spoke. “Vindhya, you are now so tall that I find it difficult to cross over you. I have business to attend to, on your south side. So, better bend down low enough so that I can cross you without difficulty”. Though proud, Vindhya knew that he had to be careful in dealing with a powerful sage like Agastya. So, he agreed and stooped down low for the sage to pass. 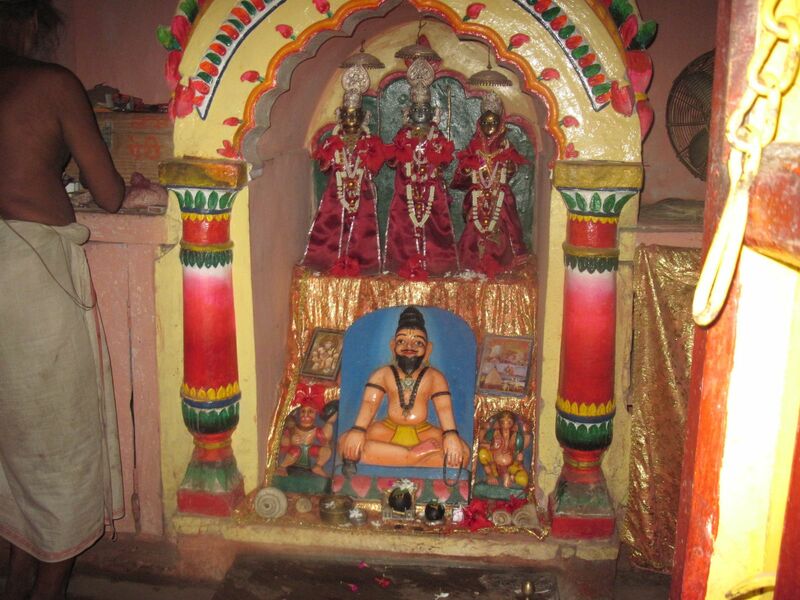 Agastya crossed over to the south and commanded. “Now, remain like this until I return”. The mountain thought that he should better follow that order from the sage, too. After all, it would be a matter of days for the sage to return. But, it is said that Agastya never returned. He settled down in the south permanently. Vindhya was compelled to remain low waiting for the return of the sage which never happened.